You should not assume that the gas safety check meets the safety check requirements, or that a safety check, on its own, will be enough to provide effective maintenance. Ask for advice from your engineer when necessary. Gas appliances owned by your tenant are not covered. Neither are flues/chimneys that are solely connected to an appliance owned by the tenant. 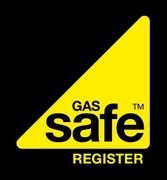 Failure to maintain gas appliances could result in loss of life. You can face imprisonment or be fined up to £20,000 or both, for each offence. If the case reaches Crown Court the maximum penalty may be imprisonment or an unlimited fine, or both. Our Boiler Cover offers an excellent service and affordable prices to keep your boilers in safe working order and working efficiently.